Large open air parking lot also available for self-park. Planning an Event? Give us a call! We can make any occasion memorable whether large or small. This is one of my favorite dining experiences in Cleveland. Making reservations online is effortless with the OpenTable app. Pier W service is beyond exceptional, the drinks are fantastic and the Chef is a brilliant artist. Make sure you try one of the specials, you'll never be disappointed. The dinner is always prepared well. We enjoyed our meal very much. It was ok. First time for brunch and it was underwhelming. Brunch staff not overly friendly and all food was cold and extremely small portions at carving stations. I’d go back for dinner but not brunch. omelet delivered not from the kitchen. 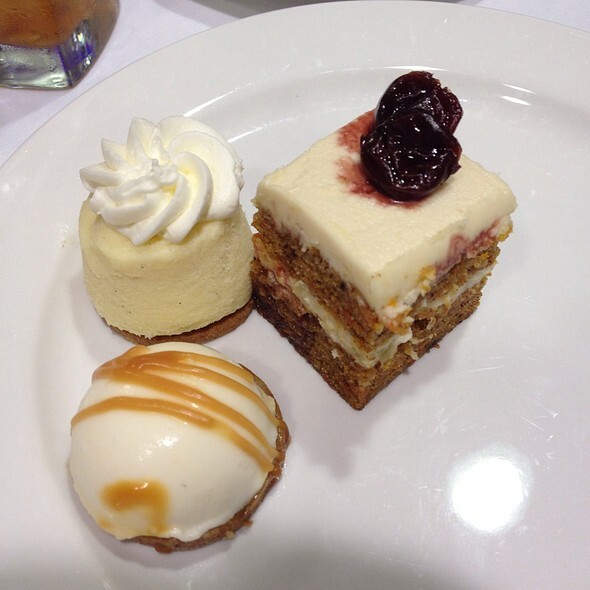 The desserts were plentiful and very tastey. There’s nothing negative that I could say about Pier W’s brunch. They had ample and delicious food. The variety was wonderful and everything appeared to be very fresh. 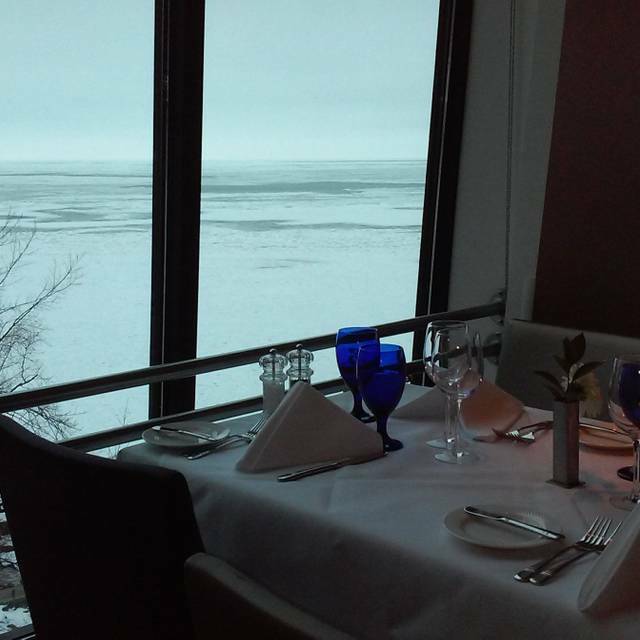 This is our favorite spot for brunch in Cleveland, beautiful views and endless delicious food. We go especially every year on Easter as well, this year the hostess majorly confused our reservation and created a very stressful situation to get there and was not very polite. This holiday was stressful, hopefully next time will be better, would still recommend. Sunday Easter brunch with my girlfriend represented a great amount of nostalgia. I used to go regularly with my parents for special occasions. It had been some years, and the restaurant has undergone some modern renovations, but the service and view was reminiscent. Overall the food was great with a huge variety, and the views of Lake Erie and the Cleveland skyline brought back some great memories. Definitely recommend for weekend brunch. Great seafood and our waiter Sean was helpful and fun. Great experience. We will be back! Very nice atmosphere, excellent service and great food. Bread was not refilled. No seafood forks served with appetizers. The lettuce in the salads was browning. Not as first class as I remember it the other times we have been there. 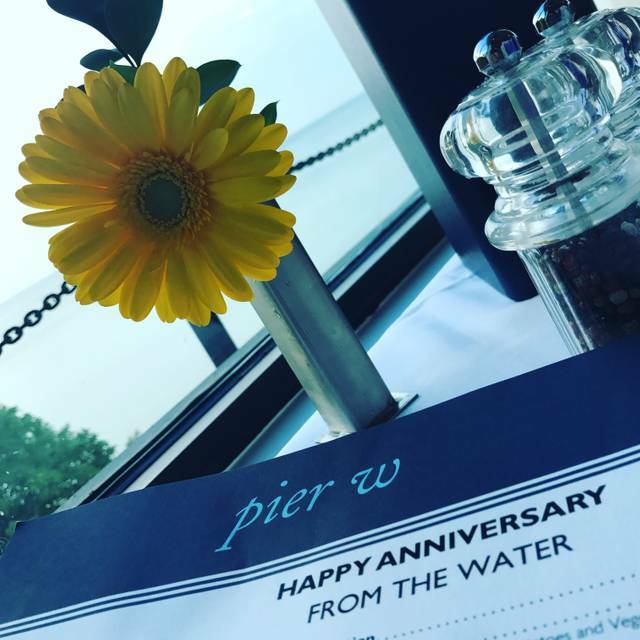 This was our first experience at Pier W, and it was for my birthday. It was amazing!!! 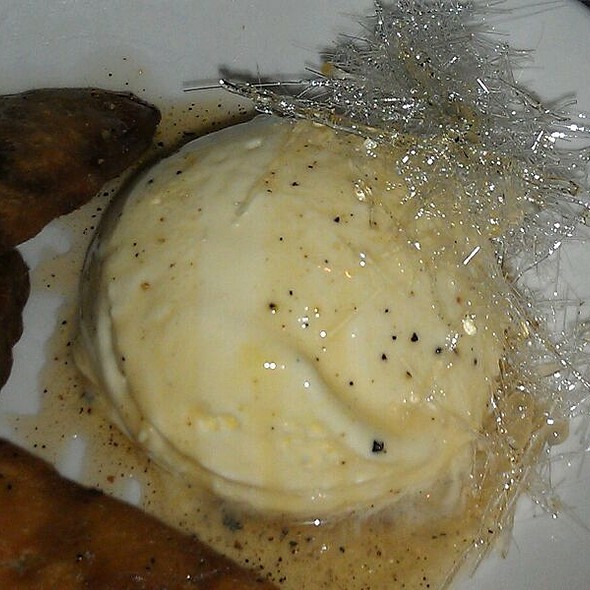 The service was excellent, the food delectable, and an all around impressive experience. Highly recommend for a special occasion! Went for lunch with family and as usual everything was great. The service was excellent thanks to our server Ashley. She made the perfect recommendations and our meals were delicious. Can’t wait to go back. Nice environment. Waiters were very polite definitely would recommend going here for special occasions. Will be going again. The Hawaiian Tuna was amazing. Perfectly seared in the outside and almost raw in the center. A sushi-lover’s dream! Drinks were delicious, server was knowledgeable and polite. The atmosphere was perfect for date night. The meal was excellent. The lobster tails were accompanied by squash and Brussels sprouts. The squash was marvelous as were the Brussel sprouts. The steak was wonderful and done correctly. The twice baked potatoes were delicious. Dessert was the very tasty warm butter cake. Our waitress, Ryanne, was exceptional. She was attentive and gave very good suggestions. My sister was in from out of town and thoroughly enjoyed her birthday celebration. A nice touch was the birthday cupcake. The best view in Cleveland!! Great food and service!! Pier W delivered excellence again for our anniversary dinner. The food and service were outstanding and you can't beat the upscale feel for a reasonable price that they offer. 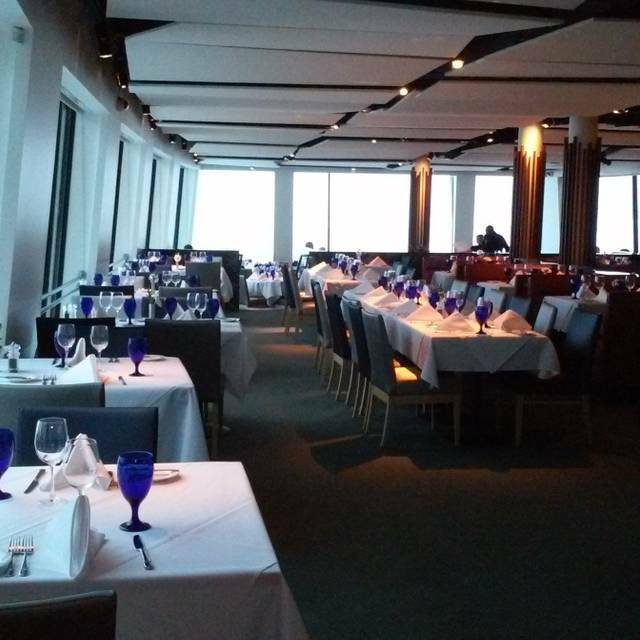 This venue is a regular part of our "special occasion" rotation in the Cleveland area and is at the top of the list! It was crowded and noisy. Too bad people showed up in torn jeans and shorts. There should be some sort of dress code. My risotto had too much butter and my husbands lobster sauce had too much cream. You’d think today chefs would be more health conscious. This is the best brunch in the Greater Cleveland area. The food, service and views were all excellent. We enjoyed all of the numerous offerings. The atmosphere was greatly enhanced by the man on the piano. This brunch is our go to place for special occasions. Very overpriced Brunch for the quality of food, drink and service provided. The view is absolutely spectacular of the lake and the city skyline. The location certainly has the opportunity to be of very high quality given the views and ambiance. Birthday celebration for sister and brother in law . Everything was perfect. Service excellent. Great view. Food not anywhere near expectations. We had a wonderful dinner before heading downtown for a show. The atmosphere is so impressive to out of town guests. Service was excellent. Our table had the tempura walleye, stuffed shrimp and trout. All were loved by the table. 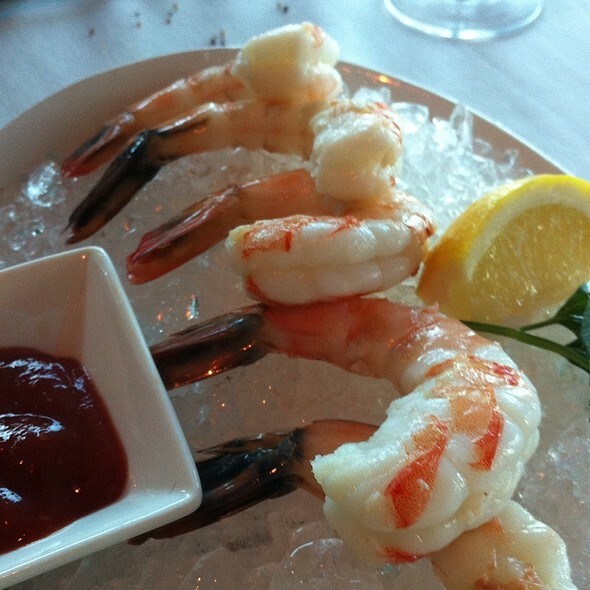 We always have outstanding service at Pier W. The appetizers we ordered - shrimp cocktail and marvelous classic oysters rockefeller - were superb. The appetizer forest mushroom puff pastry was just so-so. The Seared George Bank Diver Scallops were wonderful. The twin lobster tails were delicious as usual. But the accompanying roasted potatoes, Brussels Sprouts, and squash were horrible. Please change the vegetables. Normally the lobster tails were accompanied by Kale and that is fine. This offering was inedible. Not sure if the kitchen mushed and over seasoned the vegetables but do not serve any longer. Drinks were great and dessert was great! My view was facing the restaurant not the lake. My wife had a good but I did not. We tried to get there early but all good seats were taking. We had a lovely lunch at Pier W yesterday. 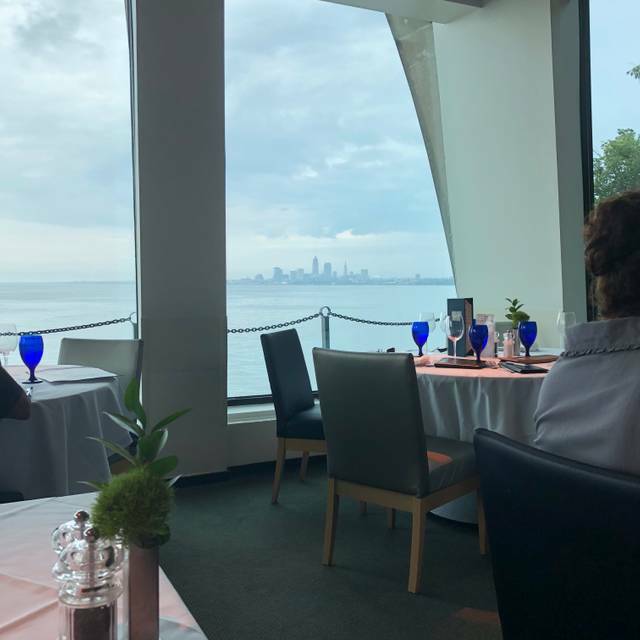 We were seated next to one of the front windows looking directly out at the lake and downtown Cleveland, making for fabulous views to enjoy as we had our lunch. Our server was prompt, courteous and knowledgeable, taking very good care of us. Our food was delicious and beautifully presented. Thank you, and we look forward to our next dining experience at Pier W later this month. Everything was absolutely fantastic! I can’t say enough about our experience. It was a wonderful way to spend our anniversary. Thanks for making it so special. 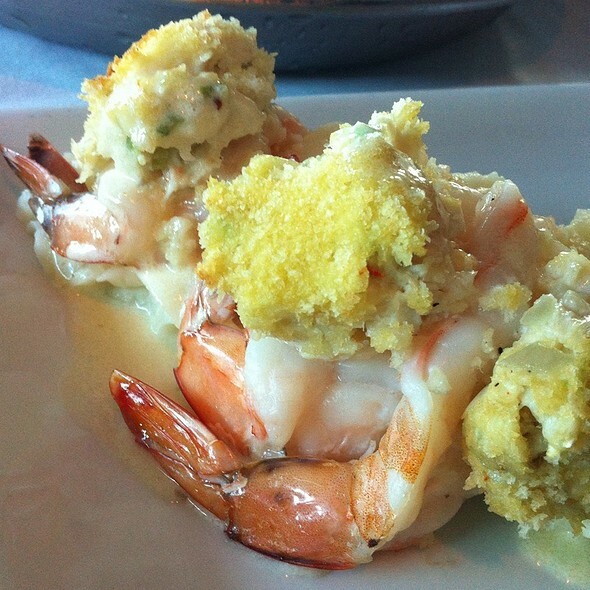 The crab stuffed shrimp was very good. The Tempura Walleye was not good at all. Very little Walleye and fried vegetables. Fried Broccoli, fried red pepper, fried green beans, fried slices of lemon. Like a bad experiment with a new deep frier. As always, Pier W’s food and service were impeccable. 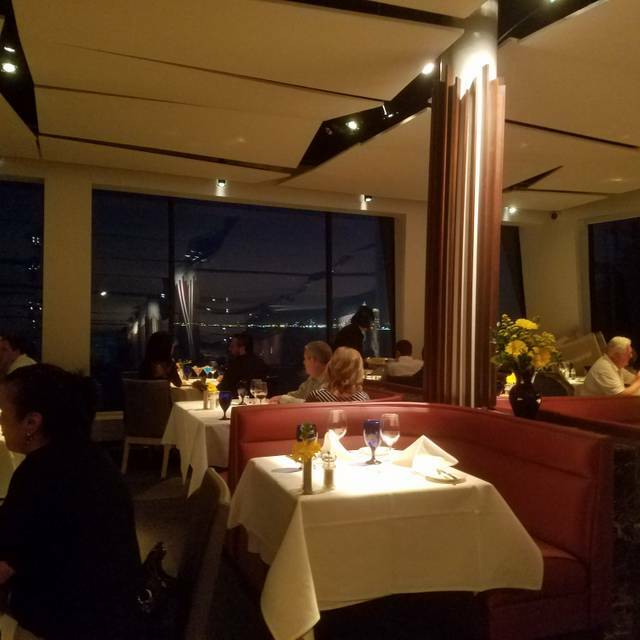 Although it was only two of us, we arrived early enough to be seated at one of the prime tables for six that viewed the city skyline. Great place. Great View. Great Service. We would dine there again. Amazing view, the food was excellent. The portions were larger than I expected and quite filling. The food was prepared exceptionally and was awesome. It was a nice relaxed atmosphere with a very attentive wait staff who was not obtrusive. I had the cedar planked salmon which was cooked to perfection, it just melted in my mouth. The vegetables - rosemary potatoes, cubed butternut squash and brussel sprouts - were all so delicious. My partner had the beef short ribs, which were so tender they were falling apart. My only complaint would be there are very few gluten free options available, although I was told menu items could be customized. It left me a little nervous to stray from the items already marked as being gluten free. Definitely worth a repeat visit, hopefully when the weather cooperates for a better view of the city. Just excellent ! absolutely no complaints !!!!! The food was just seasoned right !